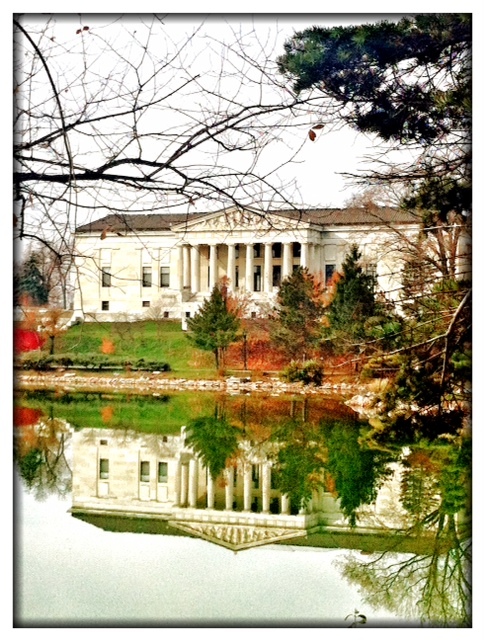 For today’s challenge, I considered using a reflection edit in the Photgene2 app, but the reflection of the Buffalo History Museum on Mirror Lake in Delaware Park is one of my favorite sights in Buffalo. So, I decided to go with the real thing. YES!! That reflection is REAL and incredibly spectacular. The reflection of the museum is beautiful on a sunny day and fabulous at night, when the museum is lit up. I took this photo at noon and the skies were a bit hazy. To edit, I used the bright/drama effect in Snapseed and the Vivid 2 effect and Classic Frame in Photogene2. Hello from Washington DC! What a scramble it was to get this picture taken before the sun totally went down. We arrived at the hotel at 4pm’ish, and I was so concerned about getting my ‘reflection’ picture for today. 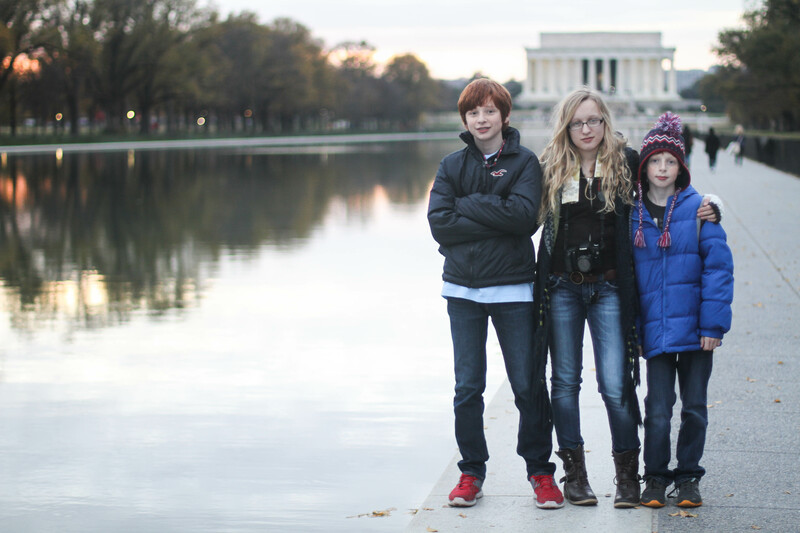 So with the sun beginning to set we eventually made it to the Lincoln Memorial Reflecting Pool which of course was completely perfect for today’s challenge. I’m so happy with this picture, it may just be perfect for our Christmas cards this year. We were beginning to lose light so my ISO was set at 250, my shutter speed was 1/125, and my aperture was set at f/1.4 to blur the background and keep the kids in sharp focus, while letting in as much light as possible. To be honest I never thought I’d even get as far as Lightroom. I’m currently (thanks to my husband) hooked up remotely to my Mac at home from his laptop in the hotel. I really can’t believe I’m managing to do this! Unlike my Mac, his Macbook doesn’t have a properly calibrated screen so I hope that the colors in the photo you’re seeing are ok. I kept post-processing adjustments to a minimum. Slight increases to exposure, contrast, clarity, and sharpening which really just enhanced the beauty of the image. I had no clue what a reflection picture was exactly but now I know. I love them both! Have fun in DC Alex! Beautiful pictures, both of you! I love the camera around Ella’s neck, Alex!